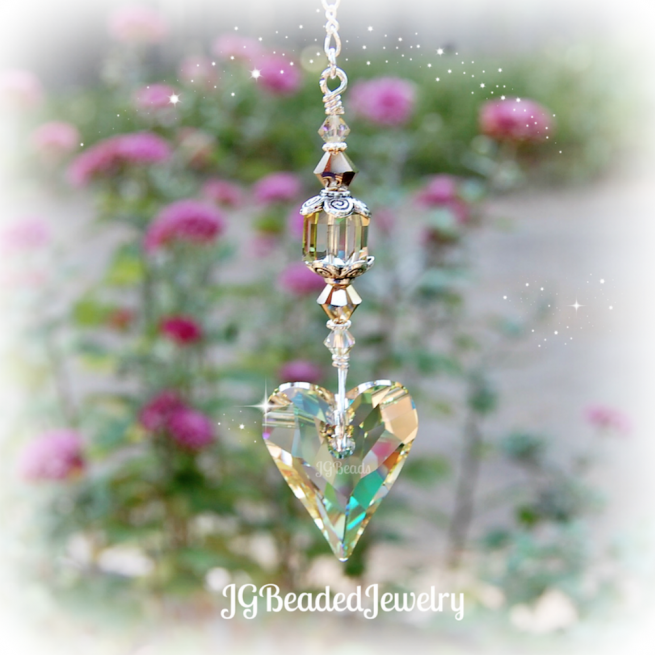 Hanging Wild Heart Swarovski Crystal! 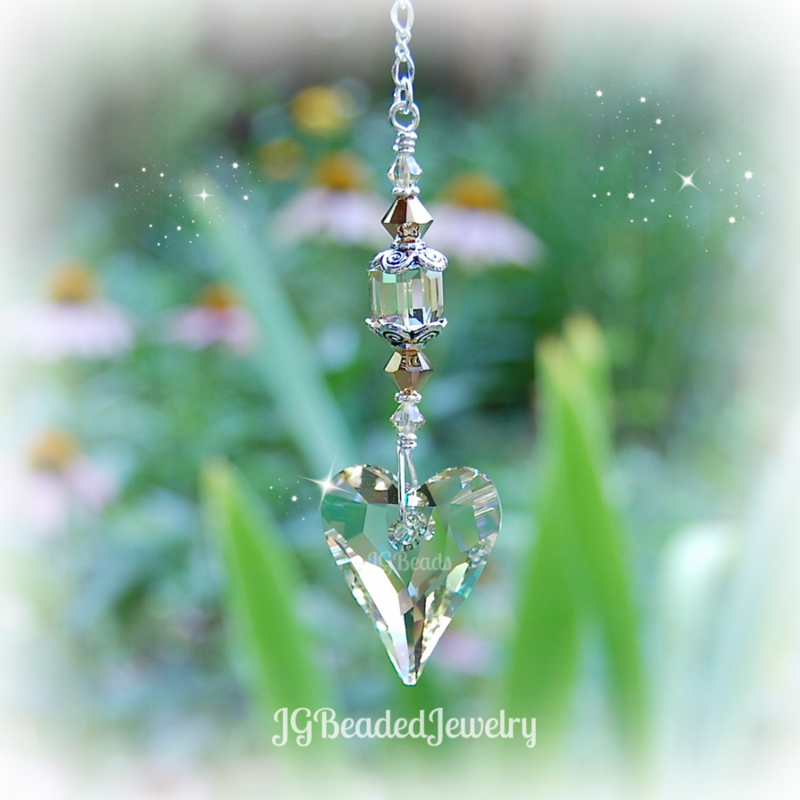 This Swarovski crystal heart suncatcher can be hung from the rearview mirror, in a window, attached to an existing ceiling fan or light pull chain, or wherever you choose! The Wild Heart is an elegant and classy shape, it is brilliantly colored with shimmering hues of green, golden, violet and pink depending on the light – it is a unique and progressive color. BEAUTIFUL in person!!! Swarovski is known worldwide for their quality, precision cut, and flawless crystals – they are the best! The heart is approximately 1″ long and 7/8″ wide. 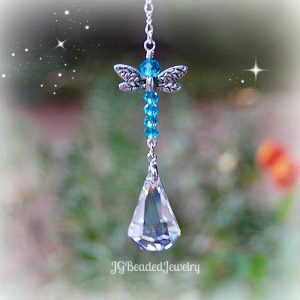 It is wire wrapped with sturdy silver wire by hand for strength and longevity with great attention to detail. 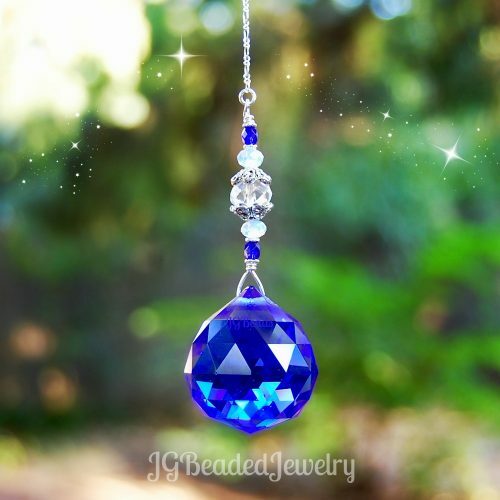 It is embellished with Swarovski crystals and fancy silver metal beads!